Luke and James visited a home near our head office in Bromley, Kent to carry out an installation on two windows found in the living room of this home. 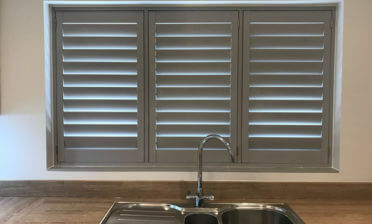 One of the windows was a bay window and the other was flat, requiring us to bespoke design these shutters in the same style and finish to match. We love it when customers break away from the norm, with this client requiring black shutter panels and frames built into black window recesses, to really stand out as focal points in the lightly decorated rooms. 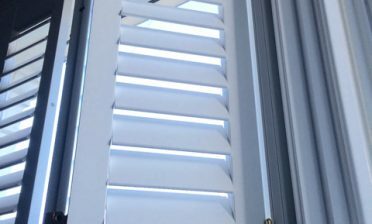 A great example of designing traditional shutters to work in modern and minimalistic rooms. The shutters were created using 7 panels on the bay window and 3 on the other, while still maintaining the same look over both windows and full matching the window lines. Creating an amazing look from both inside and outside of the property! 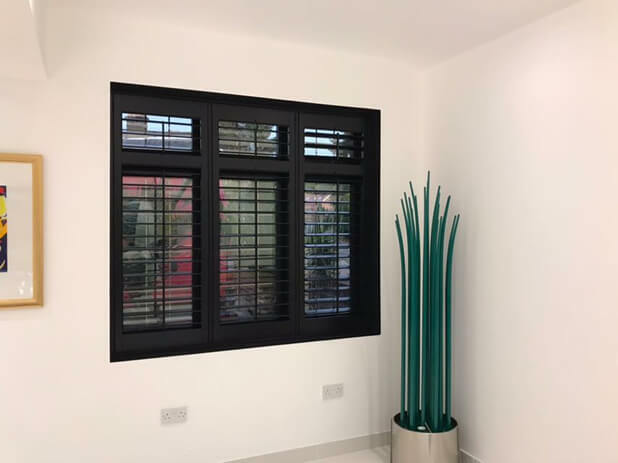 The shutters were created using our Fiji Range (Paulownia Wood) which is the lightest yet robust material in our range and great for wider expanses such as the bay window in this installation. We used 89mm louvres with centralised tilt rods on all panels for ease of adjustment and to achieve the desired look that the client wanted. The mid rail has been created to match the lines of windows behind and also allows for separate movement of the louvres in each section. 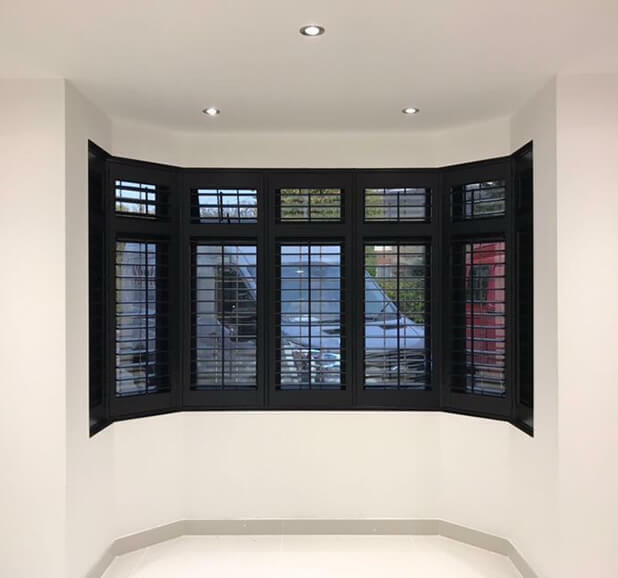 Finished in black with matching black hinges, the shutters look fantastic against the walls and in our opinion really help to make the look of this living room! 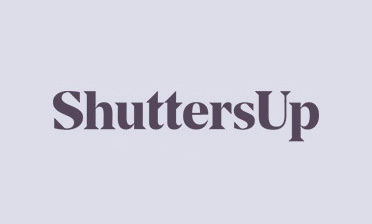 As ever with our attention to detail we made sure to specially buy some matching black silicone filler for installing the shutters so that the black finish was not compromised in any way!